THE NEXT SET OF GUIDED READING BOOKS IS NOW AVAILABLE!! With this purchase you will get 10 NEW emergent readers for guided reading instruction at levels A, B, and C. You get 4 level A texts, 3 level B texts, and 3 level C texts! My kindergartners love these books and yours will, too! DOWNLOAD the PREVIEW for a sample page from EACH book!! All of these texts have relevant, interesting topics for young children. Topics include fall, Halloween, crayons, animals, winter, fairy tales, school routines, and more! Level A texts have a consistent and predictable pattern. 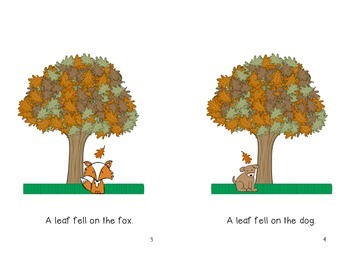 Level B texts have slight changes in pattern and require students to consistently attend to the text. 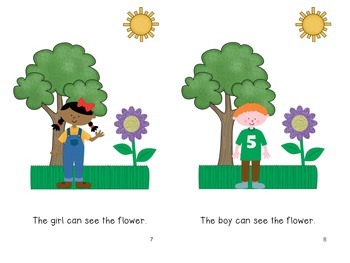 Level C texts have conversation and changes in pattern, but still require students to use the pictures to make predictions and solve unknown words! 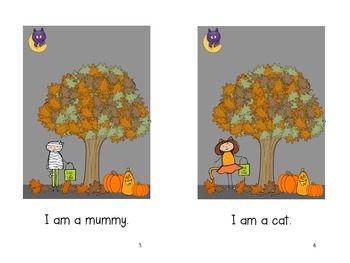 I hope you enjoy these emergent readers. 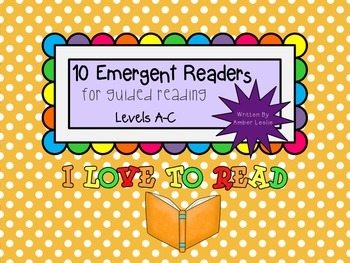 Check out my store for the Guided Reading Emergent Readers Sets #1 and #2, Color Word Emergent Readers, and At the Farm Emergent Readers!